Are you constantly trying to find papers you placed down on your desk? Is your closet overflowing with junk? 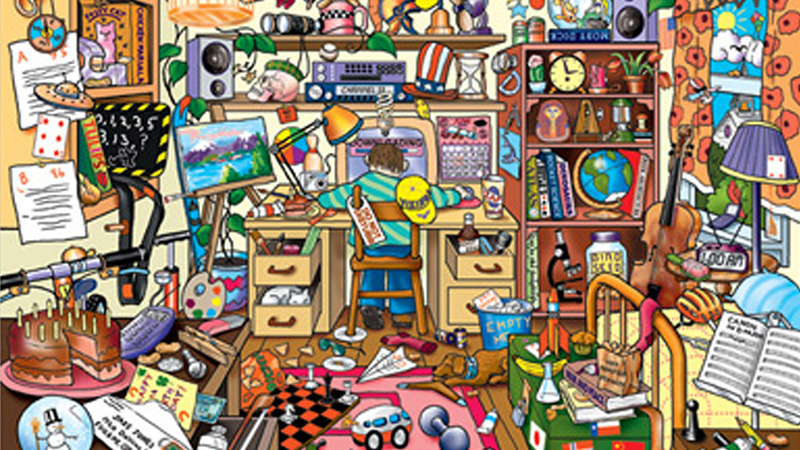 Are you drowning in clutter and don't know where to begin to cleanup? Take charge with these books and resources on clutter, organization, time management, and what to do with unwanted possessions. The site of San Francisco professional organizer Christy Best. Articles, book reviews, and a directory of professional organizers by state. The blog of reporter Jane M. Von Bergen, whose series of articles on "Digging Out" ran in the Philadelphia Inquirer. Includes links to the articles and other online resources. Learn about Feng Shui and get the basics to enhance and improve the flow of energy through your environment and maximize the positive potential for your life. Mt. Airy Greening Network (MAGNet) MAGNet answers the questions "What Do I Do With...?" as well as "Where Can I Recycle...?" Fun and creative ways to organize a child's play room or bedroom. Detailed instructions for getting your family de-cluttered, plus FAQs, message boards, and reader-submitted news items. Find inspiration and helpful how-to's for organizing books and more on your own bookshelves and bookcases. 10 tips on how to setup a successful yard sale, declutter your house, and even make a few bucks! Stop paper pile-ups and e-mail overload. If you can't toss it, learn how to stow it. From time management to mental feng shui. Cut the clutter and keep it that way.